This is the fourth installment in a new series of albums launched by the Polish Radio, which presents radio recordings by the Godfather of Polish Jazz, pianist/composer/bandleader Krzysztof Komeda. Komeda is of course the most familiar name associated with Polish Jazz and his legacy is of crucial importance to Polish and European Jazz. Considering the fact that Komeda's studio recordings are relatively scarce, the radio recordings are in fact the main source of his recorded legacy, as they include among others the Jazz Jamboree festival appearances by Komeda and his various ensembles over the years. Recorded in 1963 and 1964 during the sixth and seventh edition of the seminal Jazz Jamboree Festival in Warsaw, this collection showcases the legendary Komeda Quintet, which in many respects was the quintessential vehicle, which presented Komeda's music at its pinnacle. 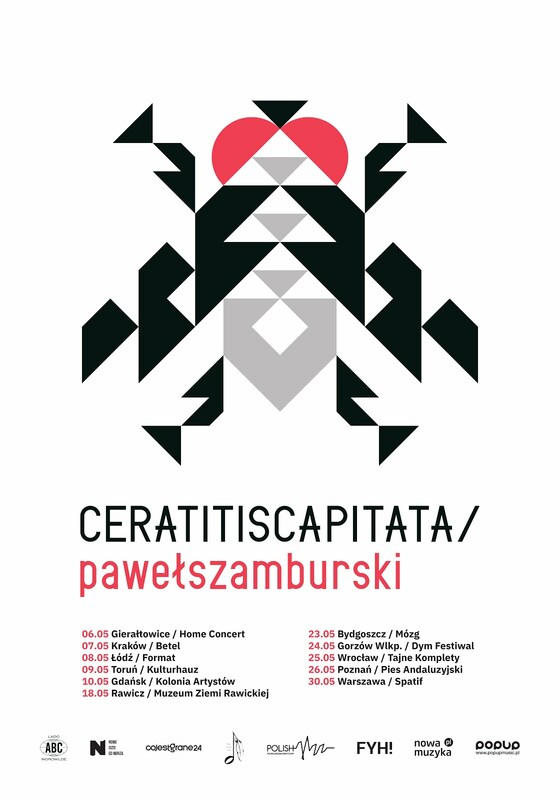 The quintet included, besides Komeda of course, trumpeter Tomasz Stanko, saxophonist Michal Urbaniak and drummer Czeslaw Bartkowski, who play on both dates, and bassist Maciej Suzin who plays on the 1963 date and Janusz Kozlowski who plays on the 1964 date. The album includes only five compositions, all originals by Komeda, which get an extended treatment which stretches around seventeen minutes for three of the tunes, twelve minutes for the fourth and six minutes for the tune which gives the album its titles, dedicated to Komeda's wife Zofia. This is obviously some of the most important Jazz music recorded in Poland during the early days of modern Polish Jazz, but also some of the most important European Jazz, which was shaping out at the time as a new wave of independent thinking, based on American Jazz tradition, but expanding the known realm with new ideas and European legacy, melancholy, folklore and other prominent factors, which eventually were to create a completely new genre altogether. Komeda's outstanding ability to weave beautiful melodies, combined with the virtuosity of his quintet's members, reach unprecedented emotional and aesthetic levels, which to this day can hardly be matched. This music is a cradle of modern European Jazz, ultra modern and even avant-garde at the time, which almost completely rebels against American mainstream Jazz, simply doing whatever feels right, in complete disregard of conventions and stylistic limitations. The tunes develop almost spontaneously, often from a riff or a chord sequence, which hints of the melodic theme, which is often developed later on and sometimes remains hidden behind the chord changes and is never actually stated in full. The rhythmic patterns change several times during each tune, often without warning. Such dramatically novel approach is amazingly bold even today, almost fifty years later. Overall this is a collection of excellent Jazz music, superbly performed, which is an absolute delight to anybody who loves Jazz. It is a fundamental piece of every decent Polish Jazz record collection, especially in the case of the younger generation of listeners, which is just getting acquainted with the enormous legacy of Polish Jazz. The recordings are splendidly restored and remastered and nicely packaged in an elegant digipak/slipcase. Dates, places and lineups are faithfully included and even personal liner notes by Polish Jazz critic Maciej Nowotny are present, but there is no in-depth background material about Komeda and his music, however considering the plentitude of published material and several excellent books on the subject, an intelligent listener can easily bridge the knowledge gap. The only small reservation one might have is the fact that these recordings have been already released many times, more or less legally on the somewhat untamed Polish music market, which means they is already owned by the serious Polish Jazz collectors, probably more than once.